What if your childlike faith grew to move mountains? What if the neighbor you loved as yourself was a child in Africa to whom you write letters? What if 264 middle school students looked to you as their chapel leader? What if the fear of David facing Goliath for the first time came alive as you put on David's shoes? What if lunchtime was a safe place to be yourself, share your hopes and concerns with someone who has walked the path you're on? What if your athletic team prayed together on and off the field? What if your shoes, your books and your Halloween candy could bless other Houstonians? What if your childlike faith grew to move mountains? 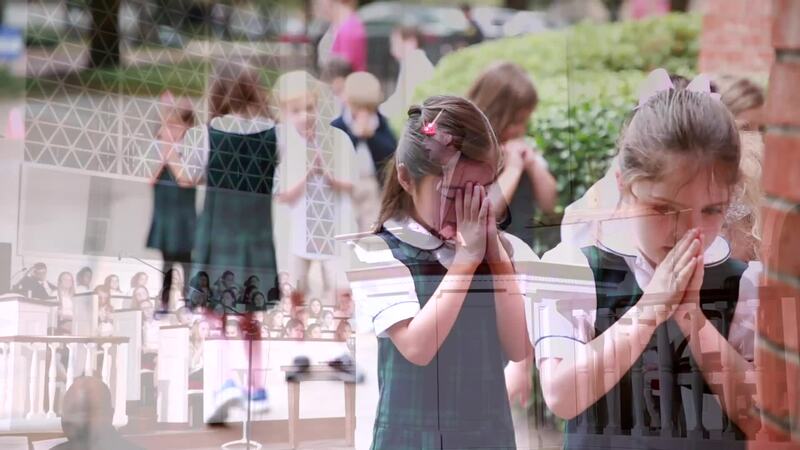 See the Spirit of God at work in acts of faith and kindness at Presbyterian School. serving or showing one another the way forward. The School gives thanks to God in weekly grade level chapels in addition to special schoolwide chapels for Veterans Day, Thanksgiving, Christmas, Easter and the start and conclusion of school. As a school focused on meaningful collaboration and connection in the community, we consider opportunities to share our resources, our campus, people and talents a true blessing. From working with young children to serving senior adults to sorting books and pantry items, all Lower and Middle School students participate in year-long service projects in our community. Middle School students have daily opportunities to learn from God's word, talk about current issues, and dive into matters of the heart in Bible Class and lunchtime bible studies. Books Between Kids is a locally based non-profit organization founded in 2012 to serve Houston’s at-risk children by providing them with books to build their own home libraries.